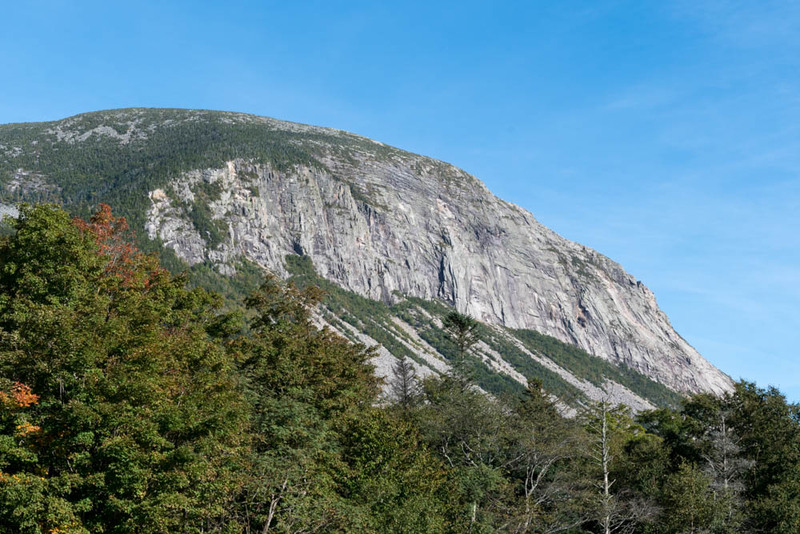 Cannon Mountain cliffs, viewed from Franconia Notch. Today was a beautiful fall day for a hike in Franconia Notch. I scrambled up the Hi-Cannon Trail from Lafayette Place, arriving on the summit of Cannon Mountain by mid-morning. A stiff breeze and a broad view of the Franconia Range greeted me. Skipping past the tourists who took the gondola to the summit, I dropped quickly down the Kinsman Ridge Trail and the Lonesome Lake Trail to Lonesome Lake. I was back at the car by noon. A selection of photos here.